Dr. Carpet is a proud carpet cleaning Orange County service provider. We Offer Same Day Service For Carpet Cleaning Orange County. Carpet cleaning Orange County is a service at high demand. Many of the residential homes in Orange County are of Older age and some are rental apartments. Moreover, Orange County has many commercial buildings in a need for commercial carpet cleaning. Therefore, we offer same day carpet cleaning service in Orange County in order to serve you better. Many of you have different needs based on work schedule and family time. We, Dr. Carpet Irvine, would like to offer you our top rated deep carpet cleaning service. Using green carpet cleaning products for the safety of your family and pets. 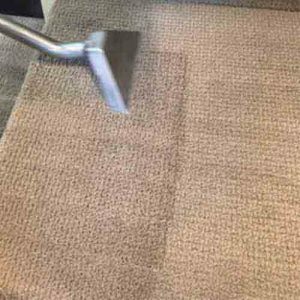 In addition to carpet cleaning we also offer upholstery cleaning in Orange County and air duct cleaning in Orange County. Upholstery cleaning Orange County is yet another one of our most demanded services, and for a good reason. When you try to freshen up your home and perhaps avoid allergies, carpet cleaning alone is not enough. Your upholstery has a higher tendency to attract and absorb dust, while we leave our sweat and moisture on. Together they form dark spots on the sofa that often have bad odors and a sticky feeling. Therefore, when you feel that your sofa or couch has reached that point – schedule you next upholstery cleaning in Orange County. Moreover, we offer same day upholstery cleaning in Orange County for your convenience. We use green carpet cleaning and green upholstery cleaning special products.Air Duct Cleaning Orange County and Dryer Vent Cleaning Orange County.In addition to carpet cleaning and upholstery cleaning, when it comes to clean up your place, consider air duct cleaning. Air duct cleaning using the main return circulates the air in your home. Therefore, if you have dust in the air duct vents you will experience worst quality of air. Also, yet another service that we offer is dryer vent cleaning in Orange County. When your dryer vent gets clogged it could catch on fire. So, make sure you stay safe and clear up your dryer vent every now and then. In addition to our major carpet cleaning Orange County services, we also offer supplemental services. Mattress cleaning in Orange County is also a service at a high demand. Whether you have spilled a drink on you bed, or one of your kids or pets have peed on it. You will need to get deep cleaning on your mattress. In addition, we offer green mattress cleaning products for your safety and comfort. For more information about local mattress cleaning in Orange County, please contact us. Tile & Grout Cleaning in Orange County. We also offer a tile and grout cleaning in Orange County. You may not need to get your tile cleaning as often as carpet cleaning. However, it is recommended to steam your tile and grout every couple of years. Moreover, your grout absorbs the stains and with time it becomes very difficult to remove and clean. Therefore, a periodical grout sealing is also a must at every home. For more information about tile cleaning in Orange County, contact us. Commercial Carpet Cleaning Orange County. our commercial carpet cleaning packages are the best solution for you to maintain a clean environment around the office. Commercial carpet cleaning Orange County is a high demand service due to the many commercial buildings and offices around. In case you have a high traffic area in the office, it is recommended to get carpet cleaning at least 3 times a year. For more information about commercial carpet cleaning Orange County and scheduling please contact us. Carpet Cleaning Orange County Warning.